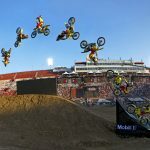 The sport of flat track motorcycle racing will be featured on the world stage this week, when America’s original extreme sport debuts as a medal event in ESPN’s popular action sports showcase, the X Games, on Thursday, June 4. 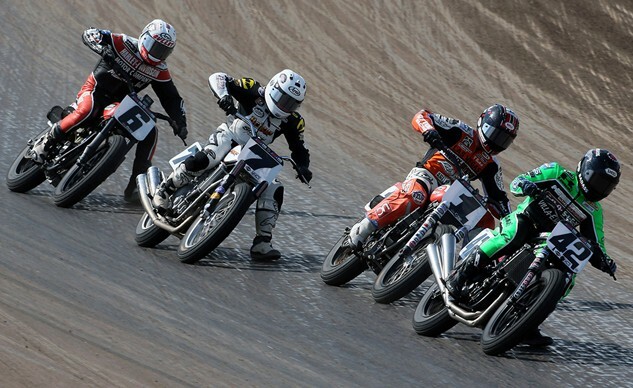 Harley-Davidson Flat Track will help kick off the extreme sports spectacular on its opening day from Circuit of the Americas in Austin, Texas. Many of the top AMA Pro Flat Track riders will be battling bar-to-bar for guts, glory and gold medals, and fans can catch all of the action live on ESPN at 8:30 p.m. ET (5:30 p.m. PT). All 24 of the riders invited to compete in the X Games are active riders in the elite Harley-Davidson GNC1 presented by Vance & Hines class in AMA Pro Flat Track competition. Reigning Harley-Davidson GNC1 Champion Jared Mees will be challenged by Factory Harley-Davidson rider Brad Baker, Kawasaki pilot Bryan Smith, three-time champion Kenny Coolbeth Jr. and others from an elite group of riders selected from the best flat trackers in the world. Smith will enter the X Games on a two-race winning streak in AMA Pro Flat Track action, and he’ll try to score a medal with his No. 42 Crosley Radio Kawasaki. Coolbeth is another rider expected to be among the favorites at the X Games. At 38 years old, he’s the veteran of the field in AMA Pro Flat Track, but he’s the winningest active rider and has five wins over the last two seasons on his No. 2 Zanotti Racing Harley-Davidson. Baker, the 2013 Grand National Champion, will carry the flag for the Harley-Davidson Motor Company aboard the No. 6 Factory Harley-Davidson. 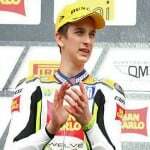 Defending champion Mees will race his Rogers Racing Harley-Davidson with the No. 1 plate, which is awarded to the Grand National Champion at the end of each season. Mees will be racing against his wife, Nichole Mees, and together they will be the first husband and wife to compete against each other in the X Games. Nichole will race the No. 15 Black Hills Harley-Davidson machine. Another X Games history-making duo is Cory and Shayna Texter, who will become the first brother and sister to compete against each other. Shayna Texter, who will ride the No. 52 Crosley Radio Kawasaki, is the first female rider to win an AMA Pro Flat Track event, which she did in Knoxville, Iowa, in 2011. Cory Texter will race the No. 65 Racing Unlimited Kawasaki. The AMA Pro Flat Track season is contested at venues across the entire country. The tracks are generally oval, but vary in length and surface types. Short Tracks, Half-Miles, Miles and TTs – tracks featuring one right turn and a jump – are all part of the AMA Pro Flat Track circuit. Harley-Davidson Flat Track will feature a 3/8-mile purpose-built track with tight corners and long straights designed to provide a test of rider skill over anything else. Flat track’s inclusion in the X Games has been a long time coming, and a natural fit for all the athletes who live and breathe it. Flat track racing is as pure a test of man and machine as there is in racing. The difficulty of going fast on dirt has made the sport a popular training tool for the world’s top motorcycle road racers like MotoGP superstars Marc Marquez and Valentino Rossi. Throughout the history of road racing, many of the world’s top athletes came from dirt track racing backgrounds. Danny Eslick has won the nation’s most prestigious road race, the DAYTONA 200, twice in a row in addition to four professional road racing championships. Before he was a champion on pavement, he raced on the dirt though, which helped him earn a coveted invite to the X Games. 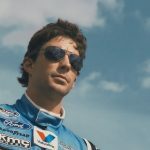 Eslick will pilot of the No. 69G Harley-Davidson of Salina/T&R Racing Harley-Davidson. Adding international flair to Harley-Davidson Flat Track is Michael Kirkness and Doug Lawrence, who hail from Australia and Canada, respectively. Kirkness will race the No. 87 Goodwin Racing Harley-Davidson and Lawrence will ride the No. 73 Doug Lawrence Racing/John Briggs Motorsports Harley-Davidson. Brandon Robinson on the No. 44 Latus Motorsports machine and Jake Shoemaker on the No. 55 Bonneville Performance entry will both be riding a Triumph at the X Games. Rob Pearson will ride a KTM with the No. 27, and Mikey Rush will pilot his No. 54 Dave Burks Motorsports Suzuki. Johnny Lewis will ride the No. 10 Lloyd Brothers Motorsports Scrambler-inspired Ducati in the X Games, adding another manufacturer to the mix. Harley-Davidson Flat Track will be broadcast live on ESPN on Thursday starting at 8:30 p.m. ET (5:30 p.m. PT).